All the cool kids are doing it so I figured I’d join in on the fun. I haven’t done any sort of strength based squat in a while. So this felt good. But it’s clear I need to build my strength back up in this area. I think a strong squat is essential in Crossfit as well as life. I failed my last rep and I could feel my knees buckle in a little. My coach pointed out that little flaw to me. So next time I’ll bring my feet in a little and hopefully that will help me out with my knees. The lunges in the metcon were a challenge especially after the squats. 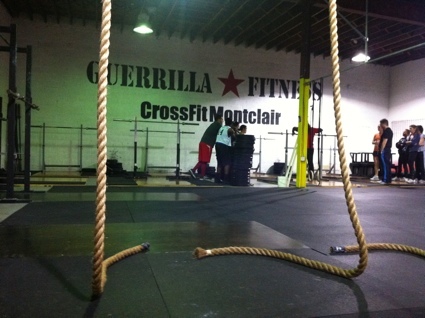 But I’ve worked hard on my footwork with rope climbs and feel comfortable with the movement now. It used to be I could only climb the rope using all arms. It goes to show you a little perseverance goes a long way.